You are here: Home / muse / This is a Test. This is Only a Test. Part of the question comes from him, part from his son. Today I’ll give my response to the son’s question and next week (I hope) to the pastor’s. There’s nothing really gained by pointing out what it literally says because the context rules our interpretation. In other words, it means just what you think it means. God would never have commanded anyone to sacrifice their children to him because human sacrifice is completely contrary to his character. Now, he didn’t actually ask this question but I think what he really wants to know is how God can say in Jeremiah 7:31 (and 19:5 and 32:35) that it would never even enter his mind to command human sacrifice and yet in Genesis 22 God commanded Abraham to do just such a thing? Genesis chapter 22, of course, is the story about how God commands Abraham to sacrifice his son Isaac in order to test his faith. 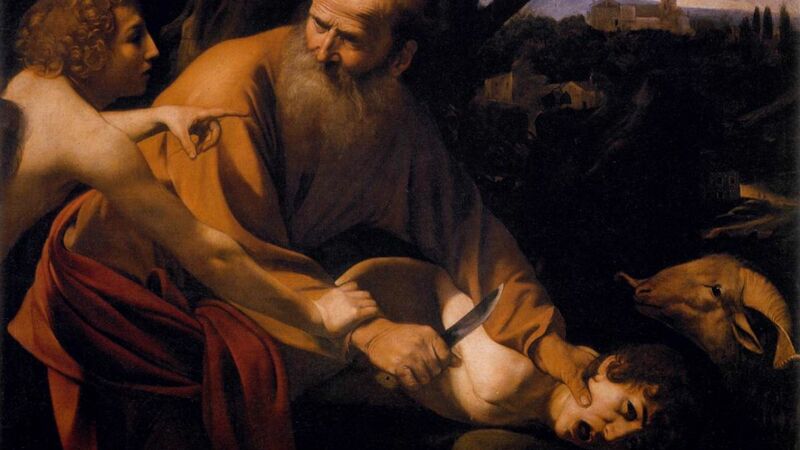 At the last minute God sends an angel to stop Abraham from killing his son. I think that needs to be taken seriously. There’s a reason he makes that clear at the very beginning of the chapter. The original Israelites reading the text were already well aware of the Mosaic law and its commandments against human sacrifice and they would have been even more surprised and offended than we are. That’s likely or at least partly why Moses makes it clear up front what God’s intentions are. This is a test! In that case there’s no real conflict with Jeremiah 7:31. God didn’t actually intend for Isaac to be sacrificed, he intended to test the extent to which Abraham was willing to obey and walk with God. In fact, Abraham obeyed God and went through with the deed right up until God stopped him, just before he took Isaac’s life. In other words, the story demonstrates that God was clearly in control of the situation and never desired that Isaac be actually sacrificed. So it is just as true to say in the case of Gen 22 that the idea of human sacrifice would never have entered God’s mind as it is in Jeremiah 7:31. This is only a test!